John Calvin Coolidge, Jr., 1872–1933. 30th President of the United States, 1923-1929. 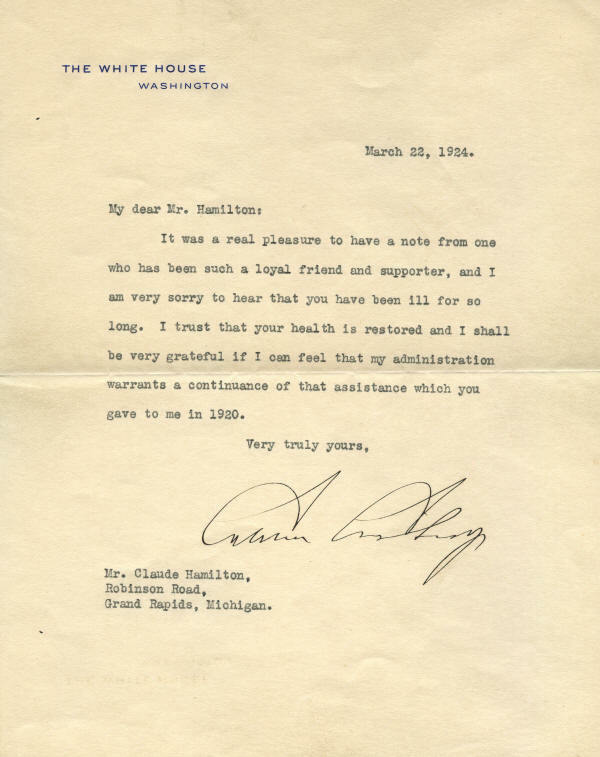 Typed letter signed, Calvin Coolidge, one page, 7” x 9”, with integral leaf attached, on stationery of The White House, Washington, March 22, 1924. With original envelope. 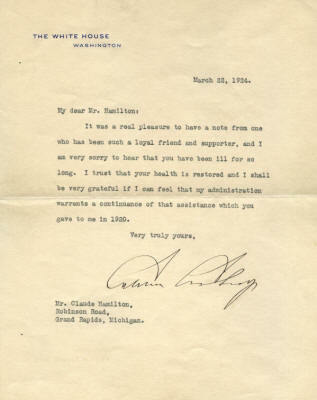 This letter has a very bold signature by Coolidge, who has signed in black fountain pen. The letter is in very fine condition, with one normal mailing fold and minimal wear. The accompanying White House envelope is soiled and bears pencil postal markings and overall is in fine condition. presidential items that we are offering. © 2006 History In Ink, L.L.C.